Illustrative Masterplan for Himley Village. The design comprehensively integrates buildings and streets with landscape, including public space, cycle paths, foot paths, bus routes, ancient hedges, orchards and allotments. A major planning application has been submitted for 1,700 new homes in NW Bicester, Oxfordshire. 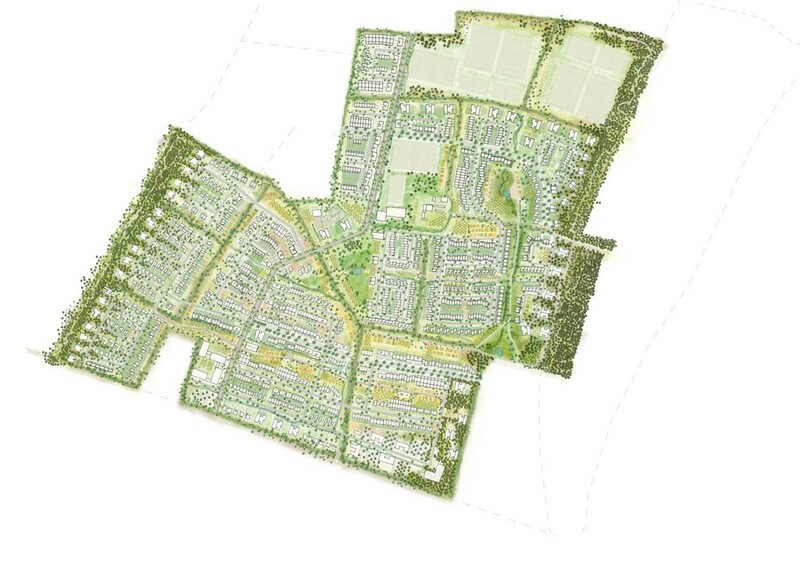 The Himley Village scheme forms part of the 6,000 home NW Bicester eco-town one of the four Garden Cities recently announced by the Government and is the most advanced in terms of progress. 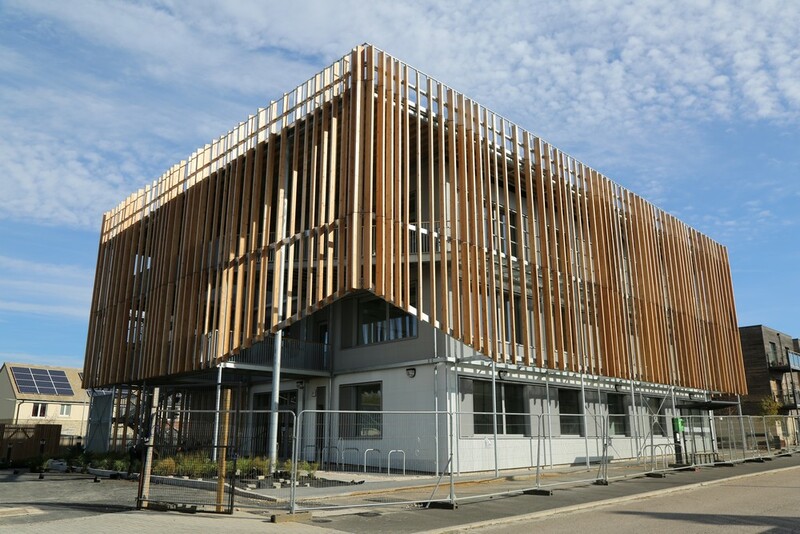 The application was submitted on behalf of developers P3Eco and validated by Cherwell District Council on 31 December. The masterplanners and architects for Himley Village are Penoyre & Prasad, with landscape design by Farrer Huxley Associates and engineering by Alan Baxter Associates. Turley is the planning consultancy on the project. Farrells are the masterplanners for the Eco Town as a whole. Himley Village will have outstanding environmental credentials in line with the project’s vision for a sustainable and smart future. All homes will meet Level 5 of the Code for Sustainable Homes and all commercial space will be constructed to achieve BREEAM ‘excellent’. The guiding principle of Penoyre & Prasad’s design has been to create a close relationship between the natural and the built world, facilitated by 40 per cent of the 90-hectare scheme being given over to high quality landscape. The design seeks to harness the life enhancing qualities of the land, and has used the natural features to guide the flow of people, vehicle, energy and waste. Penoyre & Prasad’s movement strategy strongly promotes walking, cycling and public transport. Himley Village will include a 100 unit retirement village, extensive external public and play spaces, a primary school, village eco-pub and local retail and community facilities centred around a green typical of local villages. Graham Johnson, Director, P3Eco, said: “This is a major milestone in advancing the delivery of the NW Bicester eco-town. We are enormously proud of the placemaking credentials of the scheme and believe it sets a new benchmark for sustainable development”. Cherwell District Council is expected to deliver its decision on Himley Village in the spring.